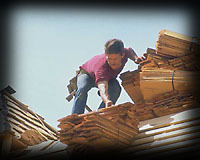 Beyer Roofing Company, a privately-held, family-owned and operated corporation, was established in 1954 and incorporated in 1979. Currently in our 50th year of installing thousands of quality roofs, we owe our success and growth to quality products and service. With over 180 years of combined roofing experience and over 10,000 successfully completed roofing projects, you can count on Beyer Roofing to stand by its work. 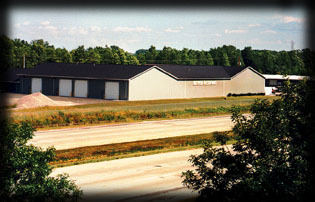 Beyer Roofing built its new state-of-the-art corporate office and warehouse in Saginaw just off I-75 in 1996. With over 26,500 total square feet, these facilities improved how we will handle the future growth of our business and how we service our customers. We have over 19,000 square feet of warehouse space in which we store a current inventory of over $150,000 to insure all materials are kept dry until they are installed, assuring the highest quality product for our customers. Our truck storage bay is over 7,000 square feet, keeping our trucks and other installation equipment out of the weather and ready for use. Less exposure to the elements also means safer, more reliable and better performance. Beyer Roofing Company is a solid business with one million dollar bonding and a half-million dollar credit line. With a sound financial base, we are capable of handling several large or long-term projects at any given time. 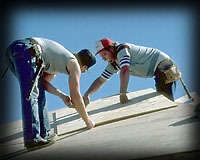 Beyer Roofing is a non-union roofing company that, as an equal-opportunity employer, employs up to 30 men and women. 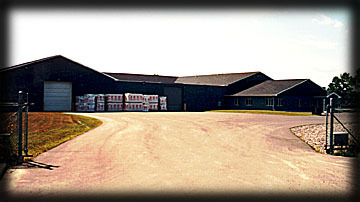 Our employees have over 180 years of combined roofing experience. We have the man-power and equipment to get the job completed on time­ every time. Our response time to start and complete projects is continually improving. A Goal of Quality . . .
Beyer Roofing Company's goal is to give you a roof system that will exceed your expectations. Our service to you will be above the industry standards to reinforce your decision to select Beyer as your roofing contractor. 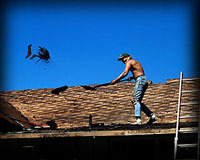 Beyer Roofing has established a reputation to take care of any problem, whether we are at fault or not. We invest considerable time and assets each year to satisfy customers and provide solutions to problems other companies would try to avoid.